AMAZING VALUE! 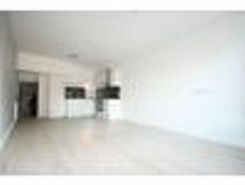 1 bedroom flat next to Deptford Bridge Station. GOING QUICK! 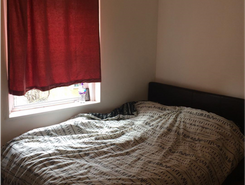 A two bedroom flat with no lounge in Peckham available now furnished. Laminate flooring throughout the entire flat. 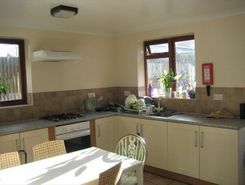 Large two bedrooms and newly fitted kitchen. The property has great transport links and walking distance to Elephant and Castle and Borough Station.Contact Cubix Estate Agents today! 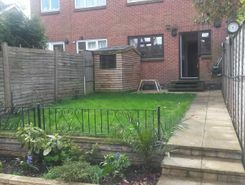 A ONE-BEDROOM APARTMENT WITH TWO PRIVATE GARDENS, this generously proportioned ground floor maisonette is presented in good condition throughout and comprises of a spacious lounge, master bedroom, fitted kitchen and a bathroom. 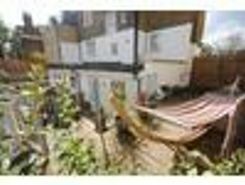 Boasting a front and rear garden and residential parking. 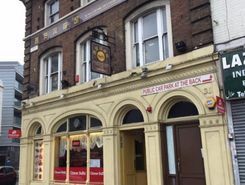 Cherry Garden Street is located a stone?s throw from the River Thames and provides fantastic transport links. TheHouseShop have been helping people to save money when buying, selling, renting and letting property in New-Cross in Greater London thanks to their unique property marketplace and expert knowledge of the New-Cross in Greater London property market. TheHouseShop is the only UK property portal that accepts listings from both homeowners and estate agents, so you will find properties listed for sale and to rent from high street estate agents, online estate agents, private sellers, private landlords and some of the UK's largest house-builders. Estate agents, private sellers and private landlords can advertise all their properties on TheHouseShop's marketplace and reach the tens of thousands of home hunters visiting the site each day looking for property for sale and to rent in New-Cross in Greater London. Private sellers and landlords can generate more interest from buyers and renters by using TheHouseShop's marketing boost options. Thousands of New-Cross in Greater London landlords are using TheHouseShop's free tenant-find service to advertise their rental properties to tens of thousands of renters. 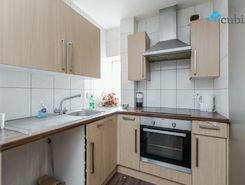 If you are looking for a rental property in New-Cross in Greater London, TheHouseShop has a huge selection of homes available to rent from private landlords and letting agents including flats, apartments, detached houses, bungalows, maisonettes, terraced houses and more. With a huge variety of affordable property to rent in some of New-Cross in Greater London's most sought-after locations, TheHouseShop acts as a marketplace for renters where they can find rental homes that meet their budget and requirements. 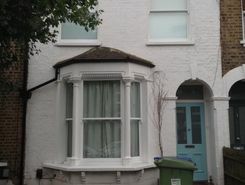 Tenants looking for rental property will find DSS property to rent direct from landlords, studio apartments, 2 bed flats to rent, 3 bedroom houses, maisonettes, private landlords accepting pets and a variety of other rental homes in New-Cross in Greater London on TheHouseShop. TheHouseShop carries unique property to rent direct from private landlords, so tenants can find rental homes that they won't find on other big property websites. The New-Cross in Greater London rental market is booming and savvy home hunters who rent property direct from the landlord can save money on admin fees and charges. 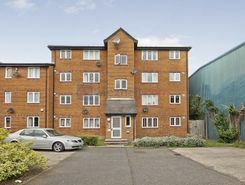 Tenants looking for cheap flat shares in New-Cross in Greater London will find a selection of affordable rentals in TheHouseShop's Flat Share section. 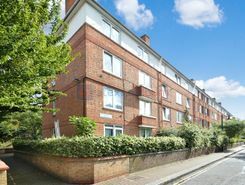 Tenants looking for cheap rentals in New-Cross in Greater London's most popular areas should consider a Flat Share instead of renting out a whole property. Tenants can use TheHouseShop's guarantor service to help secure their perfect rental property in the highly competitive New-Cross in Greater London rental market. TheHouseShop offer a free online rent calculator to help private landlords in New-Cross in Greater London find the true value of their rental property. Landlords can access a range of essential landlord services on TheHouseShop marketplace including comprehensive tenant referencing checks, hassle-free rent collection, landlord insurance products and more. TheHouseShop.com tenant referencing service is a fast and effective way for landlords to screen tenants and perform rental credit checks, background checks, affordability calculations and more during the rental application process. Tenants can sign up for free property alerts and receive instant email updates anytime a new property to rent in New-Cross in Greater London appears on TheHouseShop.com website. With a huge selection of cheap Buy To Let properties available on TheHouseShop, landlords and investors can buy their next investment property from developers, agents and private sellers across New-Cross in Greater London.